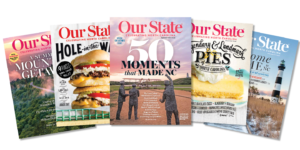 Subscribe to Our State and save $5! If you like North Carolina, you’ll love Our State. Save $5 on your subscription!